NASA's space shuttle Discovery and the International Space Station are seen in this time-lapse image as they fly over Leiden, The Netherlands, just before the two spacecraft docked on March 17, 2009, in another mission. 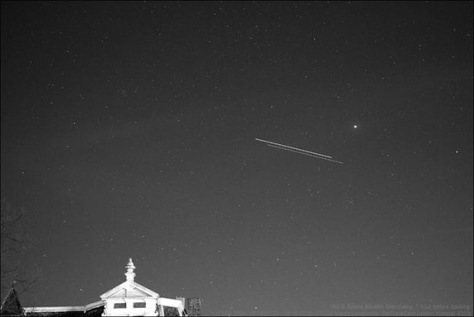 The shuttle is the object slightly fainter and lower in the sky. Movement is from right to left.